After 27 years at the NEC Birmingham, The Clothes Show, owned by Haymarket Media Group, publisher of C&IT, is relocating to Liverpool. Next year’s event will be rebranded as British Style Collective presented by The Clothes Show and will take place in July across three days in a city-wide festival. 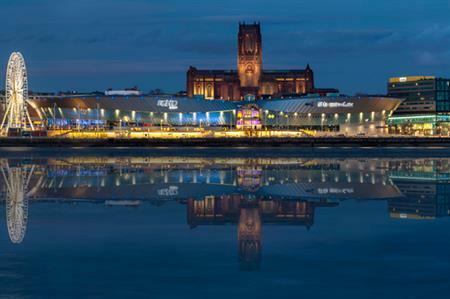 The show will take over the entire ACC Liverpool site and additional venues include Liverpool Cathedral, St George’s Hall, and Camp & Furnace in the Baltic Triangle. Haymarket’s director of exhibitions Maryam Hamizadeh commented: "The cultural renaissance over the last decade has turned Liverpool into a playground for artists, musicians and the creative industries. It is rich in culture and creativity and the right city for us to move to. British Style Collective presented by The Clothes Show will be a city-wide event that will utilise the ACC Liverpool and host events across the festival dates in iconic city locations. Mayor of Liverpool Joe Anderson continued: "The Clothes Show has long been the leading fashion exhibition in the country. It is testament to the reputation of this city and its credibility when it comes to staging major events that Haymarket has chosen to make Liverpool the home to one of their flagship brands. We have world-class venues, a track record of entertainment and a city full of people who live and breathe fashion. It really is a perfect fit."